The School Readiness Toolkit has been produced by the School Readiness Working Party, including representatives from schools, the Somerset Association of Primary Head teachers and Officers (SAPHTO), Early Years settings and Support Services for Education (SSE) Early Years Quality Improvement team, have produced this toolkit to support practitioners in schools and Early Years settings in preparing children for the transitions that they need to make in their early years. It has evolved from willingness and understanding by all parties, that partnership working and collaboration has to be the way forward. 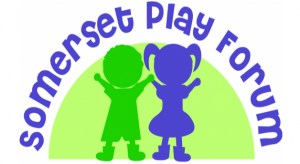 This page has helpful resources, links and updates designed especially for Somerset's providers. Information will be updated regularly and will include any important news from Ofsted. The Pre-school Learning Alliance is the largest and most representative early year's membership organisation in England. A registered educational charity, the Alliance represents 14,000 member settings and supports them to deliver care and learning to over 800,000 families every year. This area of the website has been designed to support parents and carers to find the information they need to help them with the job of 'being a parent'. Being a parent can be the most wonderful job in the world but at some point all parents need a bit of help. Finding the right information and support can be difficult so, with the help of some Somerset parents and carers, we have identified the issues that most affect families and then gathered together the best web-based information and local support to help tackle some of these issues. The Daily Mile is a social physical activity, with children running or jogging – at their own pace – in the fresh air with friends. Children can occasionally walk to catch their breath, if necessary, but should aim to run or jog for the full 15 minutes. We want every child to have the opportunity to do The Daily Mile at primary school and are now working to build The Daily Mile's community with schools, local councils, sports bodies and other supporters in the UK and beyond. This website will help to support parents with young children giving simple guidance of how to make your children more active. The website also has lots of supporting links that range from foods to avoid and bottle feeding. Your baby's favourite playmate is you so try to spend time playing with your baby every day. Did you know that playing actually requires a lot of your baby's brain and muscle power? It helps develop their social, intellectual, language and problem-solving skills – and is one of the main ways they learn about the world. This website gives a breakdown of government recommendations for physical activity levels at different ages ranging from non-walkers to toddlers/under 5s. It also helps to provide a clear understanding of what light activity to energetic activity is. This website allows parents to find out information around food and nutrition for children; it also has contact information where you can email for support. 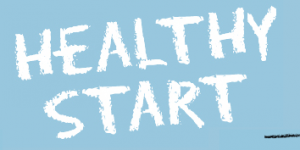 You can apply to check if you are eligible for free healthy start vouchers.